The National Aeronautics and Space Administration’s (NASA’s) recently announced plan to put an electric airplane in the air by 2018 is forward-looking, but hardly unique. History teaches us that engineers have been launching full-scale, electrically propelled airplanes for decades. From the solar-powered AeroVironment Gossamer Penguin to the Airbus E-Fan to the Boeing Fuel Cell Demonstrator, electric aircraft projects have sprung up in the biggest and best aeronautics organizations. Click on the image below to take a peek at a few of aviation history’s best and most promising electric airplanes. The solar-powered Gossamer Penguin featured a 71-foot wingspan and a weight of just 68 lb without the pilot. 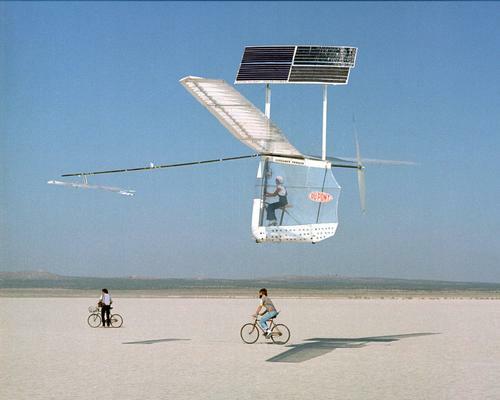 Designed in 1979 by Paul MacCready’s Aerovironment, the Gossamer used an Astro-40 electric motor, driven by a 540W solar panel consisting of 3,920 solar cells.